HL Washrooms have configured complete WC sets, incorporating individual components from Healey & Lord, Delabie and DVS. These sets are designed to be vandal-proof, and are ideal for high-traffic areas. We currently offer two bundles, one with a manual control tap and cistern flush, and another with no-touch controls, which includes an infrared sensor tap and wave-on sensor cistern flush. 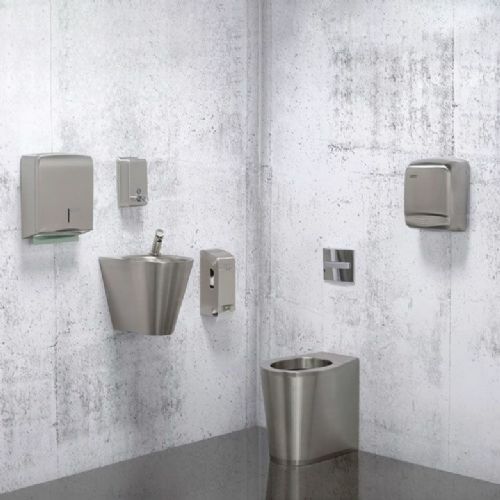 Each set contains a WC, cistern, basin, tap, hand dryer and three washroom dispensers in a matching finish.